BUS drivers at the government-run State Transit face the loss of penalty rates, shorter breaks between trips, and a more casualised workforce if they are to avoid privatisation. 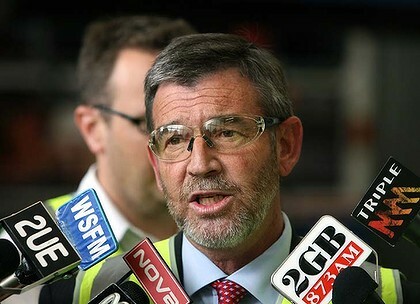 The chief executive of State Transit, Peter Rowley, will address union officials today on the types of reforms that might prevent the privatisation of more Sydney bus services before the next state election. The potential privatisation of State Transit, which runs bus services in inner Sydney and Newcastle, was revealed in The Sun-Herald last month. Since then Mr Rowley has been visiting bus depots telling drivers that State Transit had three years to ”get its ship in order”. But Mr Rowley’s timeframe will leave bus drivers and the Rail, Tram and Bus Union facing an awkward decision. State Transit’s enterprise bargaining agreement runs until the end of 2014, and under its terms the government cannot alter working conditions of drivers and staff without the union’s sign-off. If the government and union cannot agree on a new agreement before the start of 2015, drivers will retain conditions under the old agreement. But the secretary of the union’s bus and tram division, Chris Preston, said it was his understanding that if the government handed State Transit’s routes to a private operator, staff would no longer be covered by the old agreement. Mr Rowley, who will address the union’s executive today, has cited a need for a more casualised workforce and shorter breaks between trips as areas for reform. The clampdown on State Transit comes as the government invites private bus operators and consultants to run the numbers over Sydney’s privately-run bus routes. Against the wishes of some bus operators, who had wanted to simply renegotiate existing contracts, Ms Berejiklian has thrown all privately run bus contracts open for tender. Operators were this week allowed access to online data rooms covering information about four of Sydney’s 11 privately run bus regions. Mr Preston said the union would approach its negotiations with the government ”cautiously”. ”The gloves may have to come off but that is a while down the track,” he said. Separately, Ms Berejiklian also revealed yesterday the make-up of a new transport advisory board” to assist the government. The board, which will provide ”high-level advice on transport issues” according to the minister, will be chaired by the former chairman of the construction company Leighton Holdings, Tim Besley. It will also include a principal at Evans and Peck consultants, Paul Forward, a company director, Andrea Staines, the director-general of Ms Berejiklian’s department, Les Wielinga, and the chief executive of lobby group Infrastructure Partnerships Australia, Brendan Lyon.